Most businesses have accepted and embraced the need for social media marketing and have created in-depth profiles on social networks like Facebook, Twitter, and even Pinterest. Recently redesigned, Google+ has attracted about 400 million users, with about 170 million considered active. Behold, Google’s answer to Facebook. However, Google+ has an advantage over the social media giant: its ability to increase a company’s organic search results. That’s right, simply using Google+ can greatly enhance your SEO strategy. 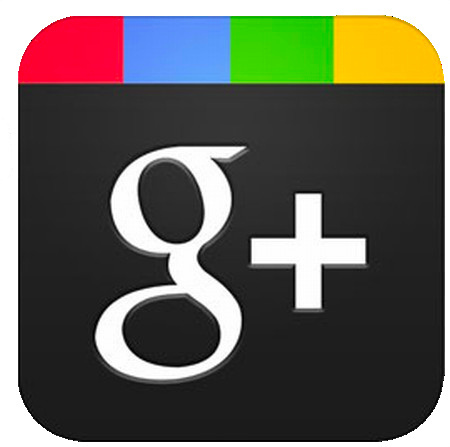 So, how does Google+ work and why should your business get onboard? Read on for six reasons to establish an active presence on Google’s social network. 1. What’s published on Google+ isn’t confined to Google+. Many business owners assume that since Google+ is still behind both Facebook and Twitter in terms of numbers of users that their customers aren’t on this social network “newcomer”. It’s true that your customers might not have profiles or might not be looking for your brand on Google+. But by ignoring Google+ on the basis that your customer isn’t there is basically saying that your customer doesn’t use the Internet. That said, Google’s social network was constructed very differently from Facebook and Twitter in that Google+ was designed to connect “all things Google” and to act as a cog in the larger Google machine, that is, the entirety of the Google search engine. Google+ recently introduced the “+ 1” button. In essence, this new feature allows a user to express the same approval as clicking “Like” on Facebook, except the “+ 1” goes farther. With enough “+ 1’s” a page will rank higher in Google’s algorithm, causing it to show up sooner in searches. 3. The “Circles” feature allows you to target specific segments. Much like e-mail marketing, the “Circles” feature allows you to group followers according to certain characteristics and then share specific information with select individuals or groups. Google+ Circles provide the power to segment your followers into specific groups so that you can reach potential and current customers on a more personal level than via, say, Twitter or Facebook. 4. Google+ rewards great web content. The “Circles” feature allows users to filter the content in their feed, so, unlike on Facebook and Twitter, it’s vital that you provide your audience with effective content that people want to see, read and interact with. Additionally, it’s important to incorporate a variety of media, such as images, videos, blogs, and infographics, a combination of which is more likely to start conversations. And don’t forget that part of enticing people to read your content is breaking it down into easy-to-read sections, like short paragraphs and lists. 5. The Google+ Authorship feature can dramatically boost your click-through rate. Another unique feature that makes Google+ a valuable social marketing tool is the Google+ Authorship program. Once enrolled, your headshot and some brief information will show up next your content that ranks in Google searches. This simple visual enhancement is proving to be quite persuasive and some authors have even reported a 150 percent increase in traffic. And, like the other Google+ features, this program also enhances SEO efforts. By now, it must be clicking that Google+ is not simply a social network. In fact, it encompasses a variety of inbound marketing tools that are housed in one convenient location. Let’s review the “+ 1” feature. It might be helpful to consider a + 1 as an endorsement of your product or service. More + 1’s means that, over time, more people are exposed to your content and your SEO efforts are enhanced. Incorporate the “+ 1” button onto your blogs and other web pages, and you are likely to draw three and half times the traffic than a site without it. Cumulatively, the results can be big. To sum up: As a social thread that now connects everything in the Google network, Google+ is a versatile marketing tool with unique features that far exceed the capabilities of more mainstream social media. Will you be creating a business profile on Google+?